near the eastern town of Magdeburg opens Friday. 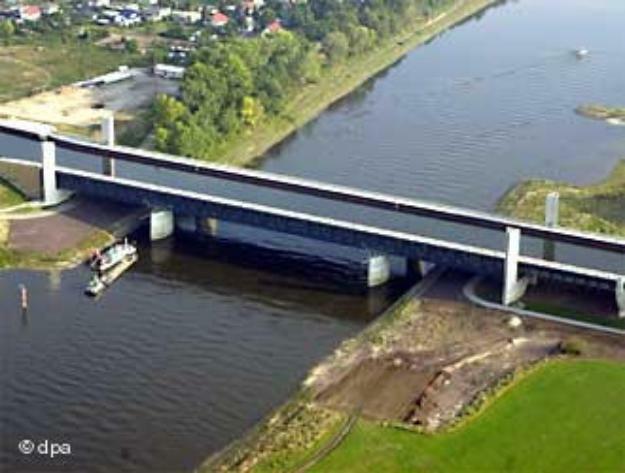 Water Bridge in Germany.... What a feat! as part of the unification project. 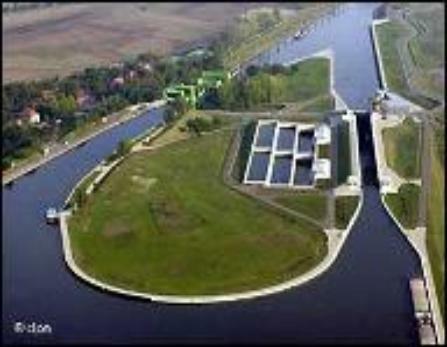 It is located in the city of Magdeburg, near Berlin. ship and barge traffic, or just the weight of the water? regardless of how heavily a ship may be loaded. a single unit of mass and always weighed the same. heartland, was over 80 years in the planning. near Magdeburg actually started in the 1930s, but progress was halted during the Second World War in 1942.
metric tons of steel and 68,000 cubic meters of concrete to build. Elbe. Shipping can often come to a halt on the stretch if the river’s water mark falls to unacceptably low levels. eroding part of the bank and street. The damage will not hinder the use of the new passageway, however. 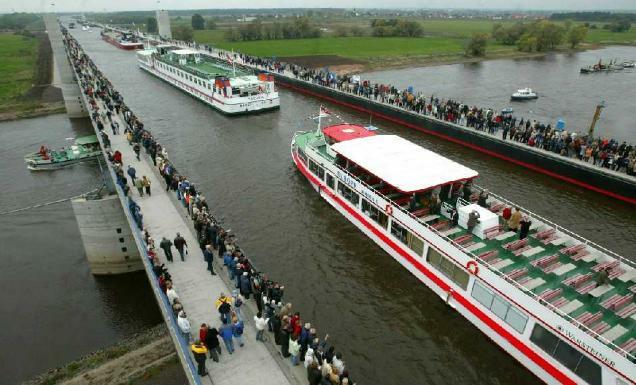 which would allow larger Rhine barges to travel all the way to the German capital. world cultural heritage would be threatened,” BUND said in a statement on Friday.